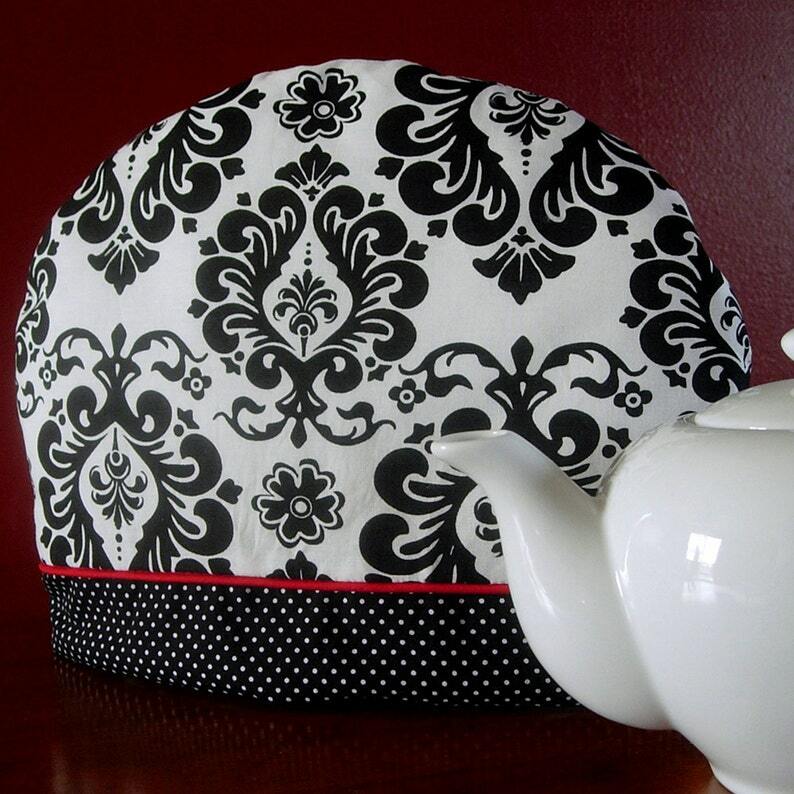 Keep your tea warm with this elegant black and white damask teapot cosy accented with black and white polka dots with a flair of red. • Fits teapots up to 26" (66cm) around including spout and handle, and up to 6-1/2" (16.5cm) tall. Teapot cozies are shipped worldwide via First Class Mail.